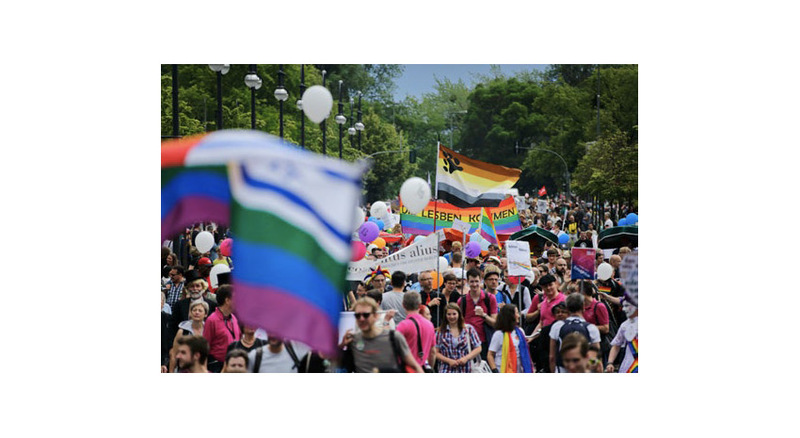 BERLIN HAS BEEN AN LGBTQ cultural and social hub for decades — or even centuries, if you consider Magnus Hirschfeld founded what’s described as the world’s first “homosexual advocacy group,” the Scientific Humanitarian Committee, in Berlin in 1897. In more recent years, Germany’s capital has continued to carve out a decidedly queer-positive identity and today is one of the top destinations for LGBTQ travelers in Europe. Indeed, the Pink Pillow Berlin Collection proves an excellent example of the city’s LGBTQ-friendliness. Organized by visitBerlin, the program showcases nearly 60 hotels that welcome all travelers. The collection includes a variety of hotel types and price points, including international brands like the Crowne Plaza Berlin City Centre, Sheraton Berlin Grand Hotel Esplanade, InterContinental Berlin and Best Western Hotel Kantstrasse. Tanzler’s advice for first-time visitors: “Come in the summer and enjoy life outside in the city, especially in the Schöneberg neighborhood.” Schöneberg, in fact, has been a mecca for gay life since the 1920s. Gay-owned businesses here include boutiques, restaurants and bookstores, and classic gay bars and pubs abound — including Café Berio, featuring tables on the sidewalk, and HarDie’s Kneipe, boasting a popular happy hour. The younger set often heads to Kreuzberg, home to the eclectic Bergmannkiez, and Neuokölln, a countercultural hot spot where cafés and bars are among the draws. But LGBTQ residents and visitors alike can easily find plenty of activities in many neighborhoods, depending on their style and taste. July is the biggest month on the LGBTQ calendar in Berlin. The city’s Pride Weeks span the entire month, with more than 200 cultural, political and sporting events including the Christopher Street Day Parade, Gay Night at the Zoo and the Lesbian and Gay City Festival.